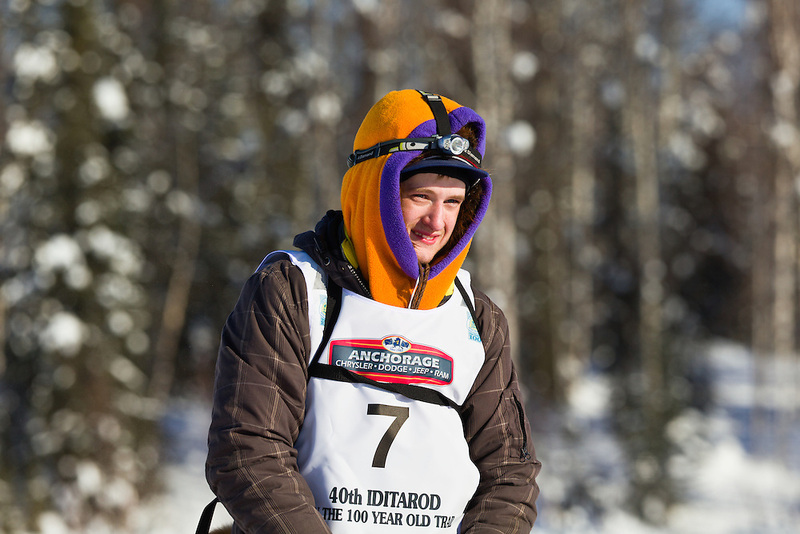 Musher Wade Marrs competing in the 40th Iditarod Trail Sled Dog Race on Long Lake after leaving the Willow Lake area at the restart in Southcentral Alaska. Afternoon. Winter.